This Aweber review will let you in on how Aweber is working as an email service provider. Aweber is one of many autoresponder services out there. It is highly functional and is easy to use. That is why they have many satisfied consumers. This Aweber review will show you the insides of the platform and its ease of use. If you are new to autoresponders, this is one of the very few which is easy to grasp fairly quickly. You have competitors out there like GetResponse, MailChimp, and others. Alas, this is one of the few which we found to be of top-notch service as it has, in our opinion, one of the easiest learning curves among the autoresponders in this price range. You can also get your account at a low price as compared to many others out there. This makes it highly attractive for small businesses and rightfully so. This being said, there has been a lot of new companies that have come into the autoresponder business with their own software as the industry is so big and profitable. In this Aweber review, we will talk mostly about Aweber, of course, and more precisely, what it can do for you. 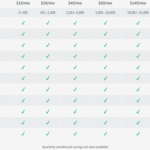 On their site, they have several accounts available with different payment sizes according to your needs. For example, you can start off with a free account, which goes for 30 days. Access to our live team of email experts by phone, email or live chat – 7 days a week. 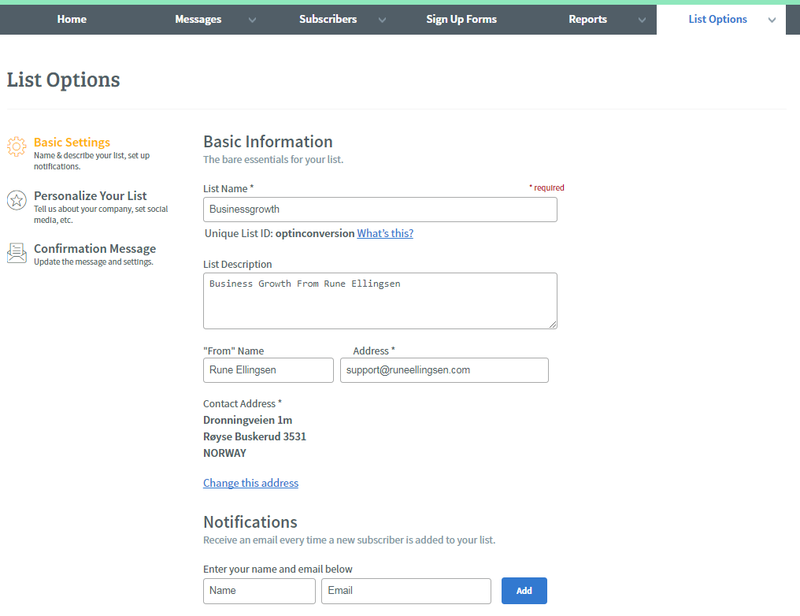 Easy-to-use tools to help you create emails, sign up forms and more to engage your subscribers. Advanced marketing automation with click and open triggers at a price you can afford. Industry-leading deliverability to help make sure your emails make it to the inbox. As you can see there is a lot of features integrated at all levels. 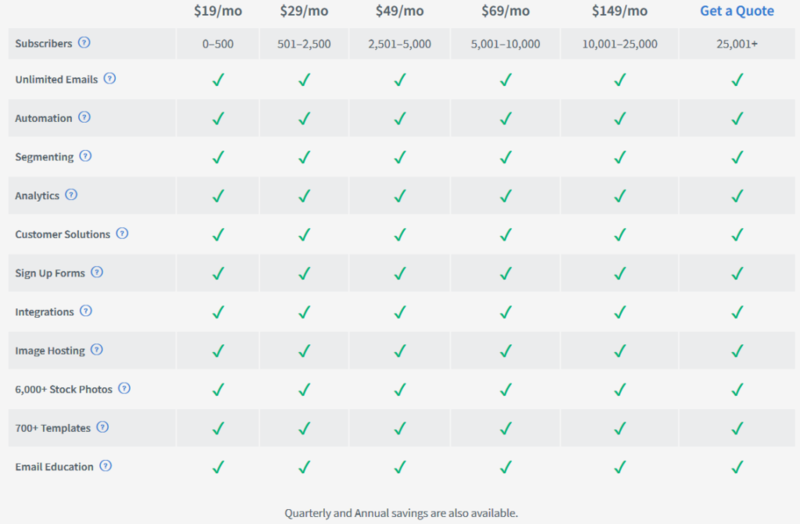 The pricing structure is based on the number of subscribers you have in your account. Aweber is by far the most known platform in the Internet Marketing space and it integrates with a LOT of products. As Aweber themselves they have so much integrated with their own platform, this makes it an attractive solution for many email entrepreneurs. This Aweber review would not be complete without a rundown on how to use it. It is simple to start a campaign and in a bit, we show you how that is done. Click To Grab Their Constructive Email Bible: HERE. So let’s take a look inside and see what you get. When you log in you get to see this dashboard. Without the red squares of course. 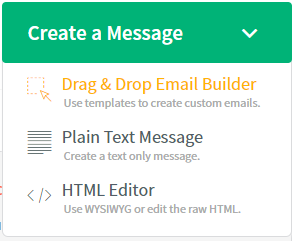 You want to use the Drag & Drop Email Builder in most cases. It’s what I use for every email. Clickin’ it, you get to see this screen. On the left, you have your options to add to the email. Notice I am using a certain template named Two-Tone for this example. 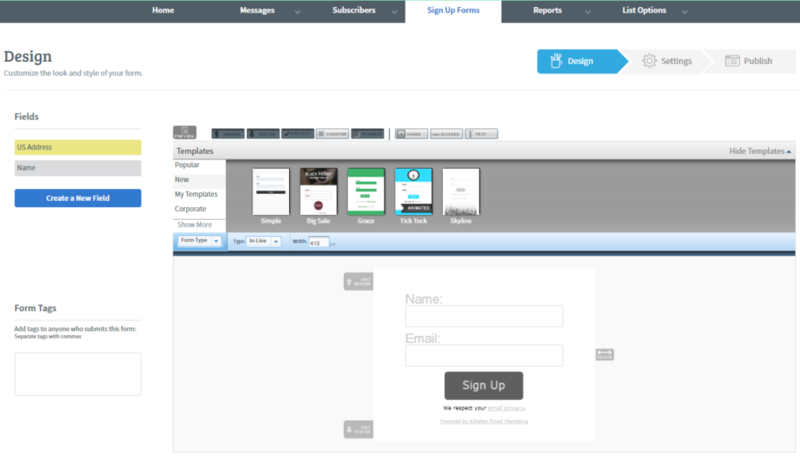 On the right side of the screen, you can select a variety of templates to either use as is, or configure the way you want them. 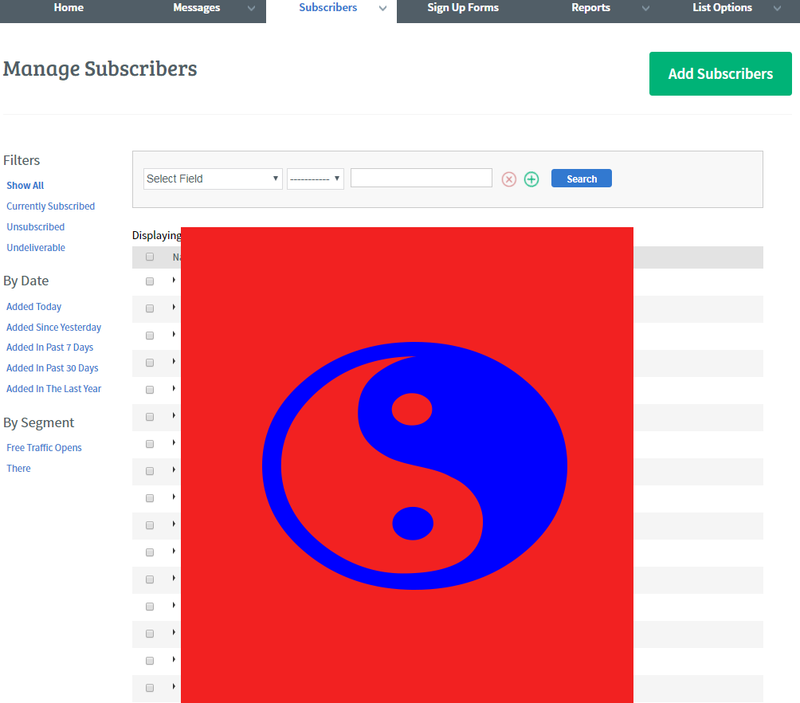 The email builder we are looking at here is very versatile as well, so as mentioned on the left side you can see a number of elements which you can include in your design. You can, of course, include images, links, headlines, video and much more. If you need a resource on what to write again you can use the PDF from Aweber or get some material from someone you like and trust on the topic. On the right side here you can see some of the high converting good looking templates, there are many more. You choose your own style. As most modern autoresponders you can personalize the message with the names and more to the appropriate subject. When ready, go to the next step and you will see this screen. Here you can press SEND OPTIONS and send a test email to yourself to see if the formatting looks the way you want it to. You can also SCHEDULE a broadcast to go out at any time you wish. And, you can add the message to a follow-up series. When sending this in a broadcast you can specify the time to send and what list or persons to send it to. This allows you to make your own design for the forms or choose between the ones they have for you. During the first time setup, you will need to visit the LIST OPTIONS and fill out the fields appropriate. You will be guided through this process so don’t worry if you are new. There are even more options inside of Aweber. This Aweber review however, will not teach you absolutely everything inside, but merely, it shows you what you need to know. Other areas you might want to look at is Manage Your List. MYAPPS. List Automation. And basically, anything else they have. You can, of course, both import and export a list to them as well. To round it off, they also have a very good support team with a dedicated team on phone and email. Also, there is a section on a frequently asked question and a knowledge base. You can be sure to be in good hands with this autoresponder. 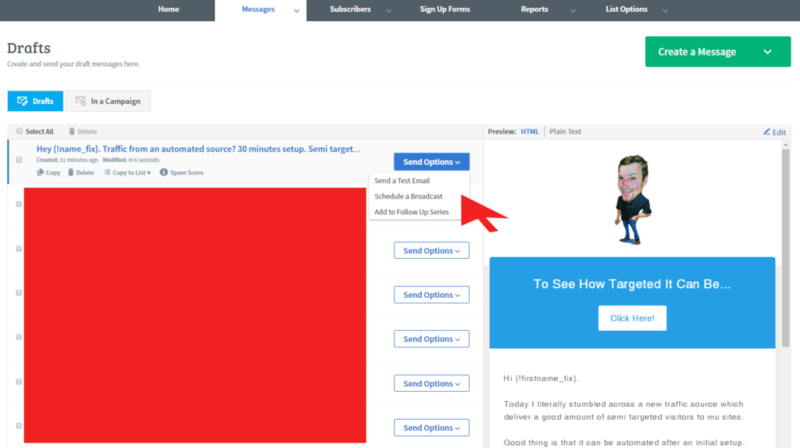 We added the short video series for you below if you want to learn more about sending emails and growing your list in general. It is a thorough course on its own for free, to you. With this Aweber review, you probably should have enough information to see if it fits you as your autoresponder. Does Your Local Business Need Exposure? Copyright 2009-2018 - RuneEllingsen.com - All rights reserved.